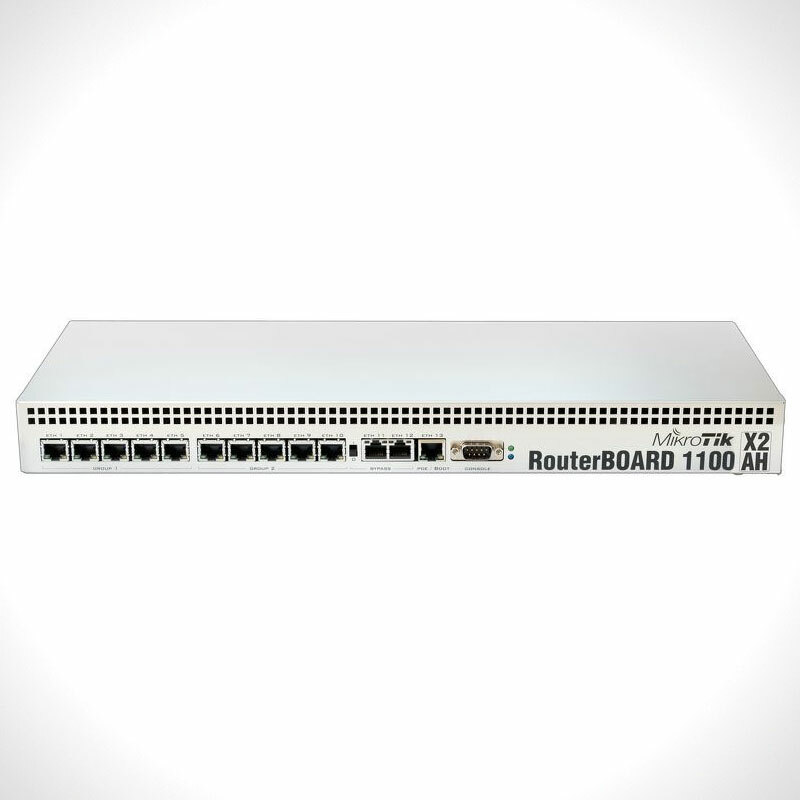 RB1100AHx2-LM is 1U rackmount Gigabit Ethernet router - with a dual core CPU, it can reach up to a million packets per second and supports hardware encryption! It has thirteen individual gigabit Ethernet ports, two 5-port switch groups, and includes Ethernet bypass capability. 512MB of SODIMM RAM are included, there is one microSD card slot, a beeper and a serial port. The RB1100AHx2-LM comes preinstalled in a 1U aluminium rackmount case, power supply and power plug, assembled and ready to deploy.